Thanks for coming to our site. 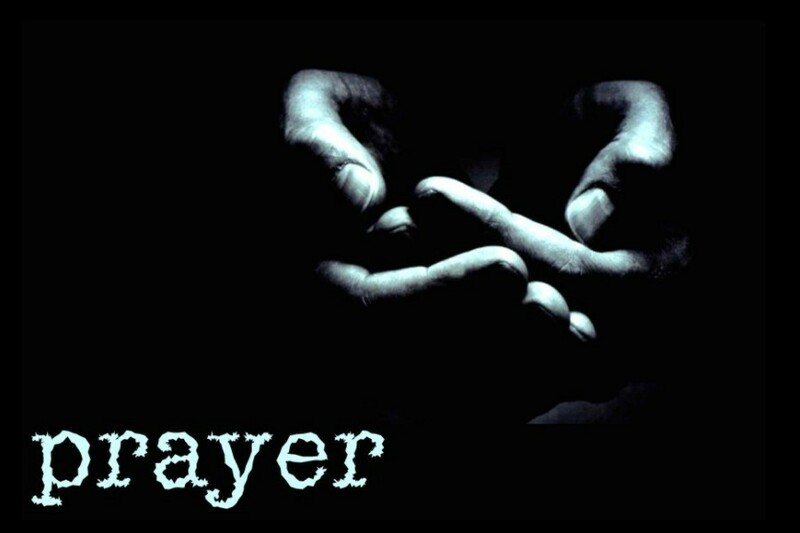 We hope you’ll join us at our Monthly Prayer Breakfast. We meet the 2nd Friday of Every Month unless it’s a holiday. See below for more info. Ruby, Janice, Monte, and I sat in the corner of a restaurant this morning where we encouraged one another in our faith in Jesus Christ. We discussed the topic of Grace and Truth. Jesus was the perfect example of Grace + Truth. In the first chapter of John it states three times that Jesus was grace and truth. What is grace without truth? What is truth without grace? When someone is gracious but neglects the truth, they are really lying. The absence of truth, by definition, is simply a lie. Think of child rearing. When raising a child you cannot simply say, “Oh it’s OK Johnny,” to every situation. Sometimes a child’s actions are clearly wrong and correct (truth) must be applied. If a child is never told the truth they end up living a rebellious life in opposition. Or they end up like those people who audition for American Idol that can’t sing a note in tune but insist on believing that they can simply because everyone, including their mother, has told them they can. Grace needs truth. When someone is insistent on telling the truth, but lacks grace, they come across in a condemning manner. It’s been said that “No one cares how much you know, until they know how much you care.” Truth without grace is similar. Think of the person who sits in court being accused of committing a felony. Imagine that the truth is obvious, there is no doubt. He had the motive, he was seen committing the crime, etc… The only outcome, given the truth of the matter is to deliver a judgment condemning him. The only way out of the situation would be for the judge, or the accuser to drop the charges against the man even though he deserved it. Truth without grace is condemnation. We looked at Jesus and the Woman at the Well from John chapter 4. She was a woman who had previously been married to five men and was living with a sixth man when Jesus confronted this ugly truth about her life. Jesus, the embodiment of truth and grace, exposed the truth. He did not keep it hidden. At the same time, he did it in a gracious manner. In fact, there was something about his approach that drew her to himself. She quickly ran and told others that Jesus knew everything about her and proclaimed that he was the Christ. He did not condemn her. He exposed the truth in grace and it resulted in the woman’s salvation and the salvation of many in her village. How do I approach life? That is the question that I have to ask myself after discussing this topic this morning? I know that far too often I error on one side or the other. Often I find myself focusing on the truth, but not extending grace. On the other hand, when I fear confronting the truth, I often error on the side of only offering grace. This is something that Jesus mastered so that they always existed together. Grace and truth are found in Jesus. I hope this post encourages all of you who read it, just as this mornings breakfast challenged and encouraged me. Find the balance between grace and truth in your life. Accept God’s grace and truth in your life as well. Run to him and find salvation. What a blessing it was to be among followers of Jesus Christ as we encouraged, supported, offered counsel, and prayed for each other. Why: To promote Christian Fellowship among Christians in the real estate industry. Price Includes Breakfast – Make check payable to ACREA at the event. RSVP: RSVP is REQUIRED. Seating is limited to first 40 registrants. Membership: Membership to ACREA is open to all Real Estate Agents, Loan Officers, and others affiliated with the Real Estate Industry. If you are interested in becoming a member of ACREA, please email Aaron Zapata at Aaron@ACREA.org and request an Application. Membership: Membership to ACREA is open to all Real Estate Agents, Loan Officers, and others affiliated with the Real Estate Industry. If you are interested in becoming a member of ACREA, please email Aaron Zapata at Aaron@ACREA.org and request an Application. Please join us for 2 hours this Friday at Mimi’s cafe in Whittier, CA. We start at 7:45am and to till about 9:45am. Enjoy breakfast, a short Bible Lesson, fellowship, and prayer time with other Christians who love Jesus. Email Aaron@Acrea.org for more info or to RSVP. and is better given than received. Attention North Orange County Christian Realtors! I am gathering an interest list for those of you who are interested in gathering in Yorba Linda once a month! If you are interested, please email me.